It’s a favorite for kids and adults – after all, who doesn’t love a good grilled cheese sandwich? Whether you prefer a crispy grilled cheese with tomato soup or like it with salty potato chips, there is no wrong way to enjoy one of America’s favorite meals. April is National Grilled Cheese Sandwich month, which gives you a whole month to enjoy some of the most delicious and creative grilled cheese sandwiches in the Houston area. 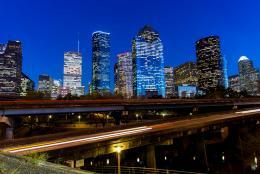 Here are 7 places to get you started! This Texas-inspired restaurant along 11th street in the Heights has a sprawling patio and relaxing bar area which often showcases local live music acts. 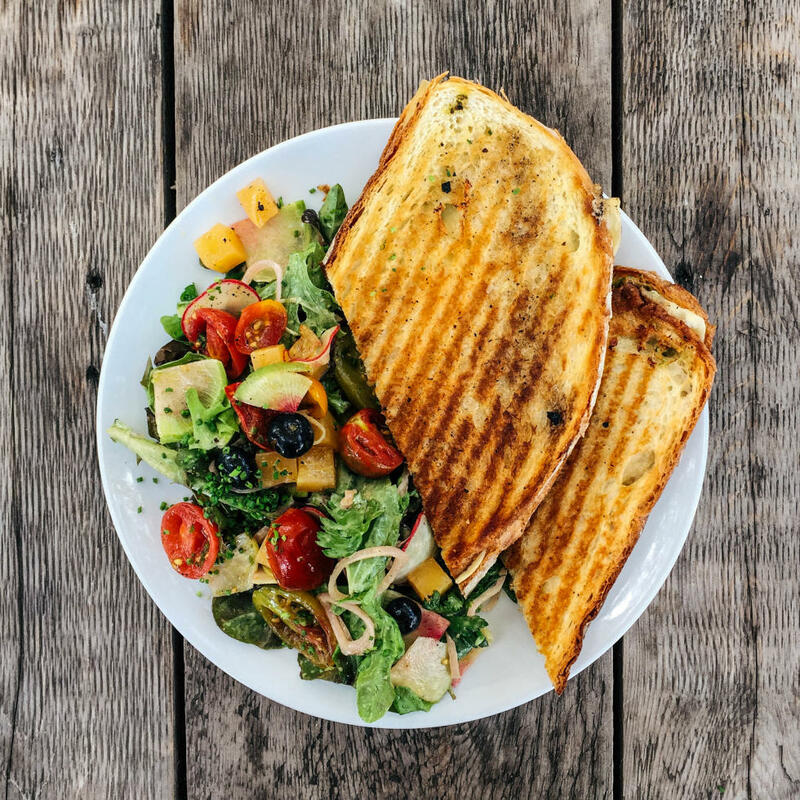 The menu is casual and includes the Reading Raclette Grilled Cheese which is made with a raw cow’s milk cheese from Vermont and has sour apple, pecan, basil pesto and pane toscano with a side of field greens. So buttery. So delicious. Located along Rice Village’s bustling Morningside Drive, this counter-service cafe has everything from omelets to pastas and sandwiches, but it’s their grilled cheese that has a cult following. The Pot Roast Grilled cheese features slow-cooked chuck tender, buttered challah bread and American Cheese. This “neighborhood bar with food” concept takes traditional bar food to the next level. Their twist on the grilled cheese is no different. 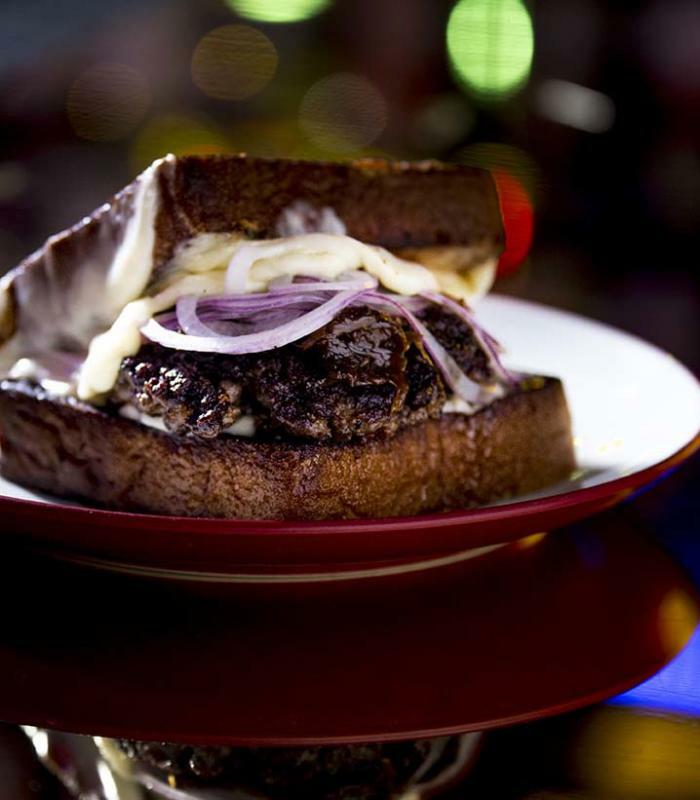 The BLT Party Melt is grilled on a house-made Pain de Mie and served with a beef patty, crispy cheese, caramelized onions and thinly sliced red onions. 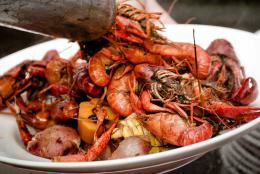 The menu at Brasserie 19 features classic French brasserie fare with modern American influences. You won’t find “grilled cheese” on the menu. Instead, keep your eyes peeled for the French version called a Croque Monsieur. 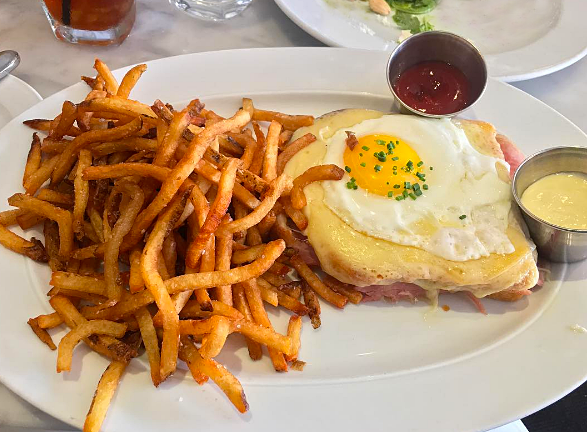 This grilled sandwich includes brioche, french ham, gruyere, béchamel and Pomme frites and is served with a farm fresh egg on the side. 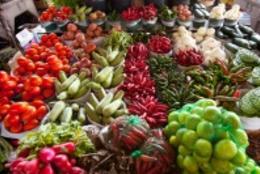 Hungry’s menu is globally-inspired with a healthy twist. For the grilled cheese, they believe traditional and simple is best. American cheese is melted between fresh, white bread and toasted to buttery perfection. You can enjoy it with a side of fresh fruit. This “upscale dive bar” offers late-night comfort food and a vast wine list. 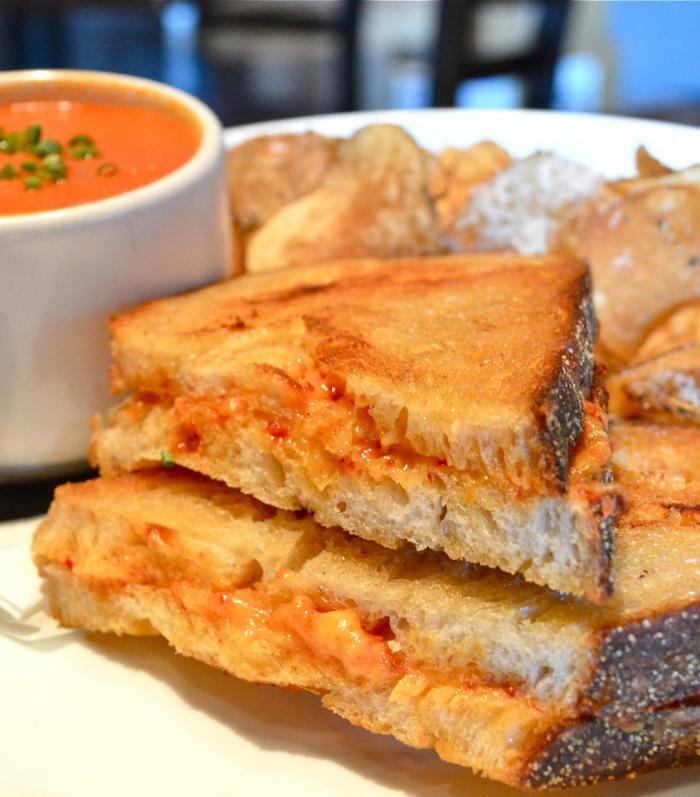 The grilled cheese sandwich features toasted artisan bread, roasted piquillo pepper ‘pimento and cheese,’ house made tomato basil soup and Wine Dive chips. Located in a 1950’s industrial warehouse, Weights and Measures is a multi-purpose concept that includes a bake shop, a bar and a restaurant featuring seasonal American cuisine. 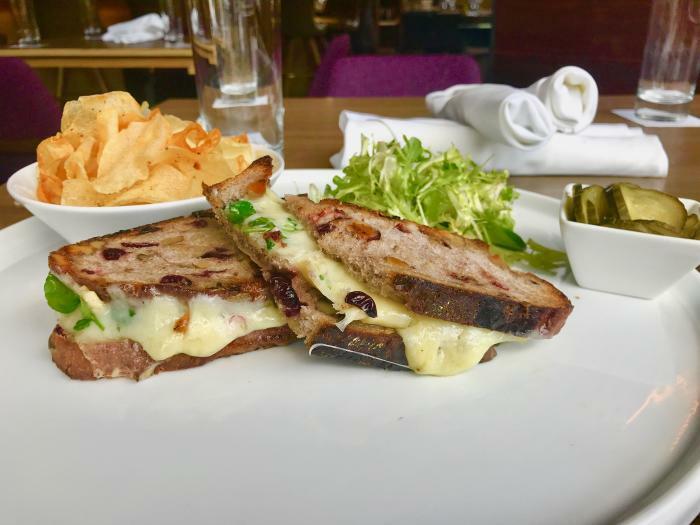 The Guyere Reserve Cranberry Walnut Bread Grilled Cheese includes purple onions and pickles and is served with a salad and chips.